The new MAC Viper Profile is the first fixture in Martin’s 1000 W MAC Viper family of automated luminaires. Its 26,000 lumens of power make it brighter than 1200 W fixtures on the market with a smaller form and lower weight. 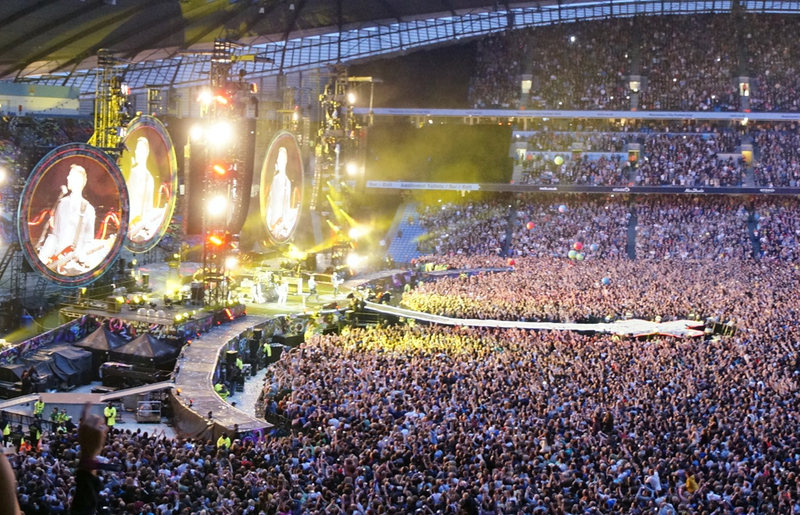 In May, Paul field tested the fixture on a string of European Coldplay shows alongside a host of other MAC fixtures: MAC 2000 Beam XBs™, MAC 700 Profiles™, MAC 250 Beams™ and MAC 101s™. “The Vipers were used to light the LED screen facias for which they needed to be bright and have a considerable zoom, which they did very well,” Paul stated, adding that he plans to put more Viper Profiles on the rider when the tour returns to Europe in late August. Lighting vendor for the European legs is Lite Alternative while Upstaging is handling the North American leg. The MAC Viper Profile has set pre-sale records for Martin Professional and the fixture is now on its way to rental houses around the globe. Upcoming variants in the Viper family include the MAC Viper AirFX™, MAC Viper Wash™ and MAC Viper Performance™.